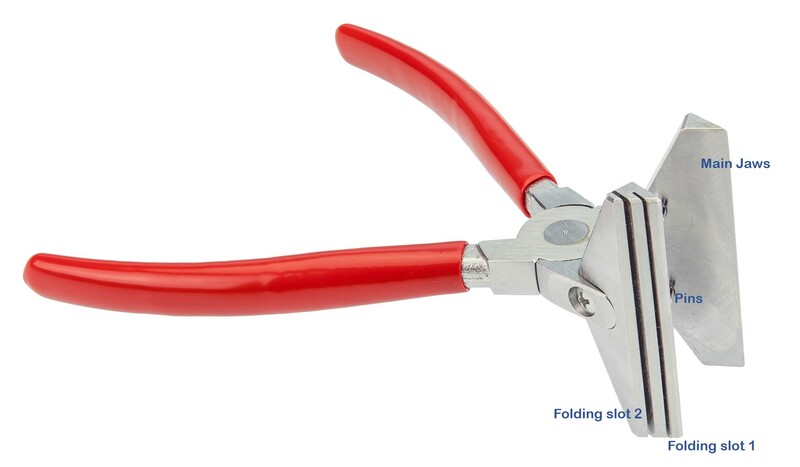 With the main jaws fully open, insert the open end of the tube up to one or both pins at the back, and squeeze the handles of the pliers tightly shut. Remove the tube from the main jaws, and slide it along into Folding Slot 1 (the narrower of the two). Fold in towards yourself. Remove and place back into the main jaws. Squeeze tightly shut. Next, place the folded end of the tube into Folding Slot 2 (the wider of the two), and fold in towards yourself. A video is available upon request; please email info@adelphi.uk.com and we can get this sent to you.